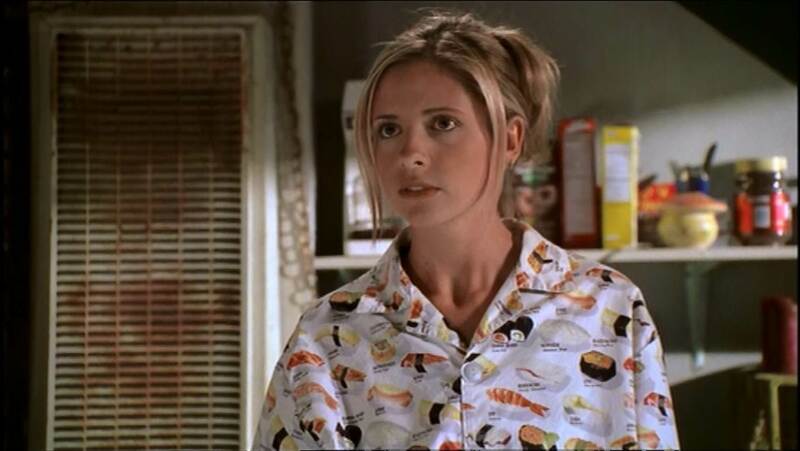 So with Buffy now back with the Scoobies after Professor Walsh attempted to have her killed, this week’s episode is largely about dealing with the fallout from those events, especially now that her Frankenstein creation “Adam” has awoken and escaped the lab after killing her at the end of the last episode. The other big factor at play this week is Riley who without his rock / surrogate mother Professor Walsh, he starts to find his world falling apart around him, especially as he refuses to believe that she would have tried to kill Buffy. Worse still we discover in this episode what the pills where that we have seen him on several occasions taking with this episode seeing him unwittingly forced into withdrawal without Professor Walsh to dish them out to him. 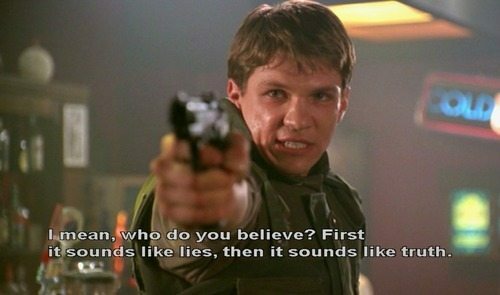 With Riley this introduces a much darker side to his character than we are used to seeing especially when he criticizes Buffy for getting information from Willy the bartender in a scene which soon escalates to him pulling a gun on an innocent bystander. This scene in particular is great in terms of world building for the Buffy-verse as not only does it see the return to Willy the sneak, who here proclaims he’s cleaned up his act citing his bar’s name being changed to “Willy’s Place” and the the fact he is offering chicken fingers as examples of this. His appearance though highlights once more that in this world that not all demons are evil and many are happy to just live semi-normal lives under the noses of the human population, an idea which was certainly emphasised more in “Angel”. Riley of course isn’t the only one struggling to adjust to changes in his life, as Spike here finds himself being targeted by demons now word has gotten out that he is going around killing demons since he got his chip which prevents him from attacking humans. Things are of course made all the more worse for him this week when “The Initiative” stumble across his new crypt leaving him with no option but to once more run back to the sanctuary of the Scoobies as he continues his uneasy alliance with them. Elsewhere Willow and Tara continue to get closer as they engage in more spell casting, only for Tara to secretly sabotage the spell for reasons which are not revealed here and bizarrely we would need to wait until the next season to discover the reasons behind this. While I think we all know that there is something deeper happening between us, the evolution of their relationship remains steady even though I still wish that Tara had more to do in these early appearances especially when her scene in this episode is such a fleeting appearance. 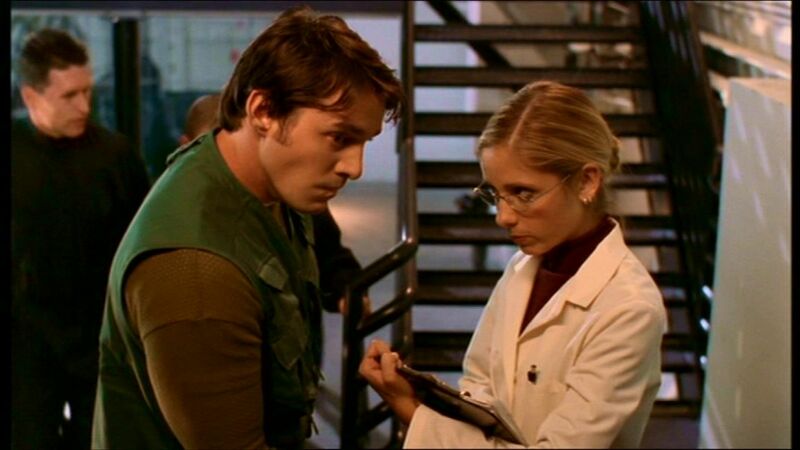 The climax of the episode sees Buffy and Xander infiltrating the initiative to try and get some answers as to what is happening especially with Riley being so out of character. This of course is really just a setup for Buffy’s first encounter with the season’s big bad Adam who gets several great scenes in this episode including a play on the child scene in “Frankenstein” as he has his own encounter with a young child. At this point Adam is still unsure of his purpose having been created and essentially let loose on the word with little to no guidance other than what he has been programmed with but even with these early appearances he is certainly an interesting villain and one who only evolves as the season goes on.